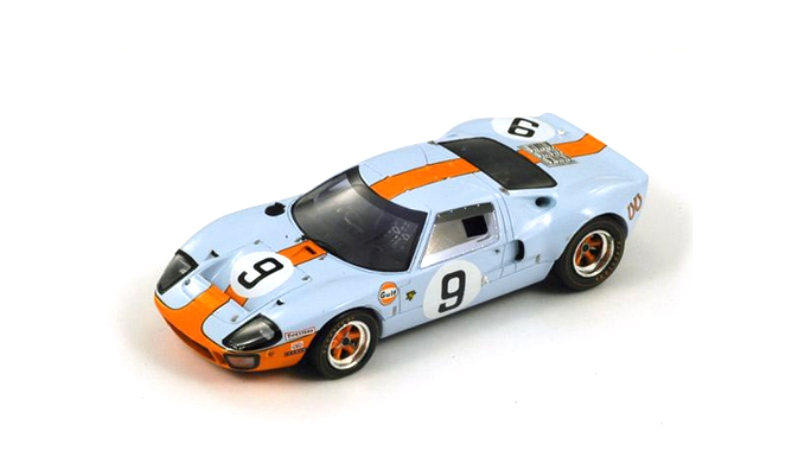 The relationship between Gulf Oil and John Wyer began in 1966 when Gulf VP Grady Davis purchased a Ford GT40. 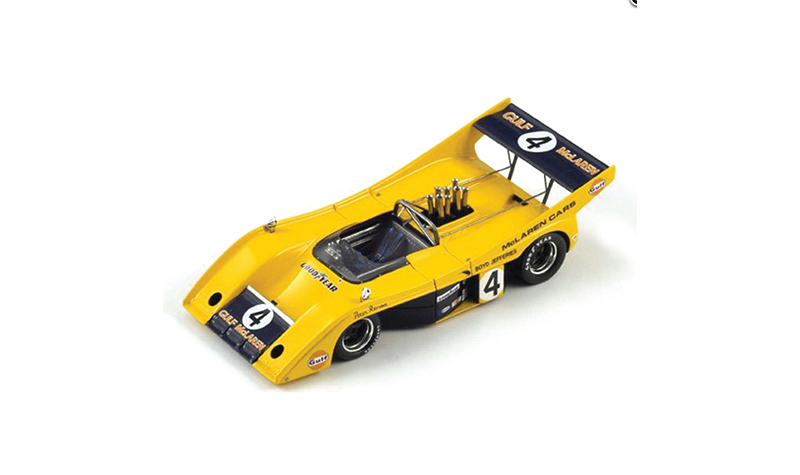 So began what became the most iconic sponsorship in motorsport history. 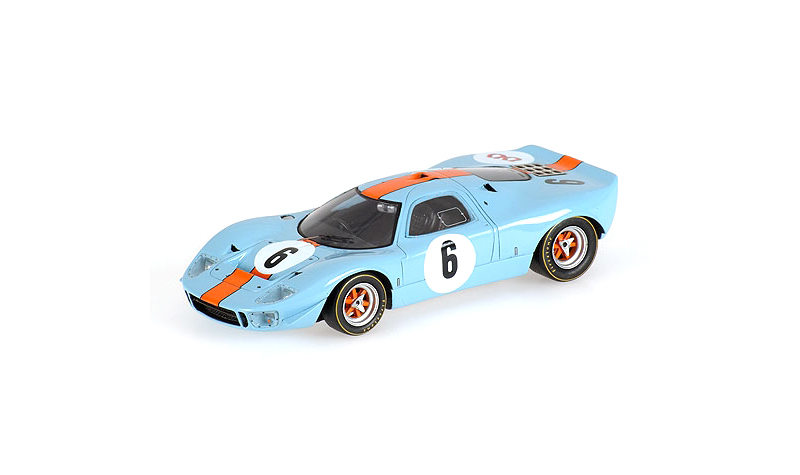 The sky blue and deep orange colors became synonymous with Gulf Racing through nine years and many wins with John Wyer’s Ford GT40s, Porsche 917s and Wyer’s own Mirages. 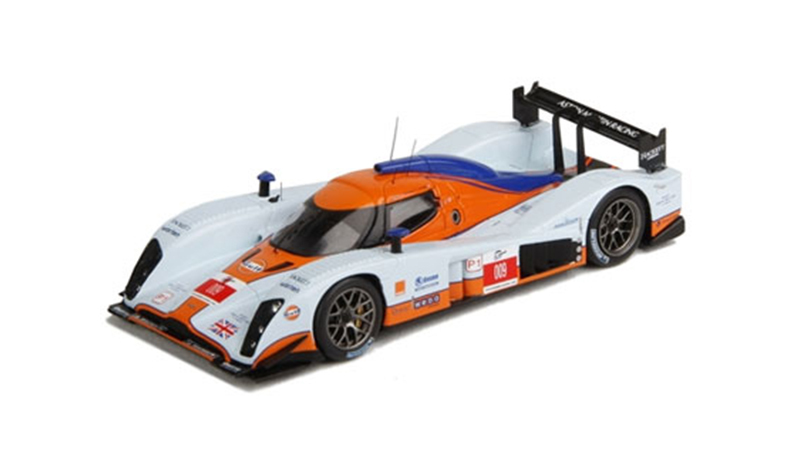 It remains an active sponsor to this day, especially at LeMans. 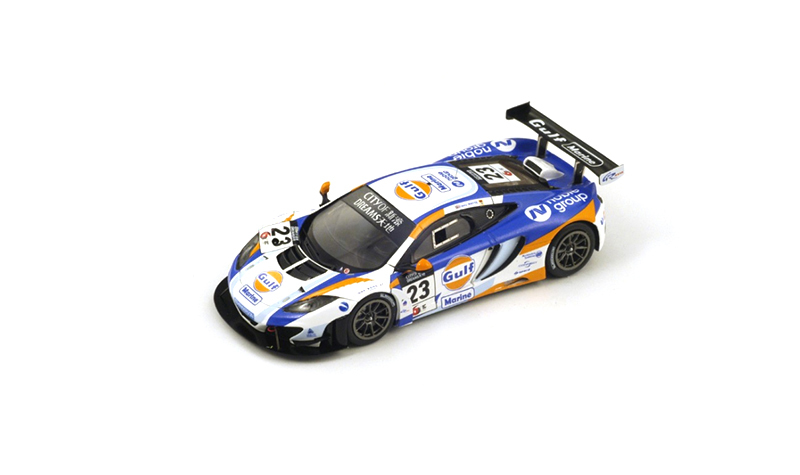 It has also created a huge amount of Gulf Racing models in 1:43 scale. 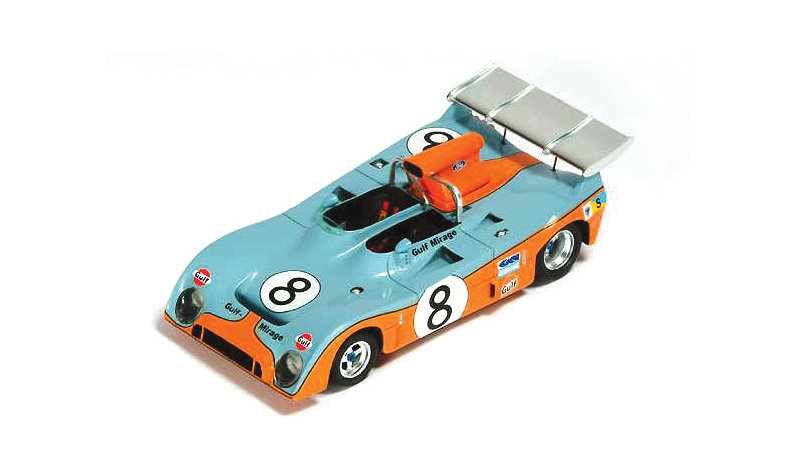 The first appearance of the blue and orange at LeMans in 1967 was on a Mirage M1 entered by John Wyer Automotive. 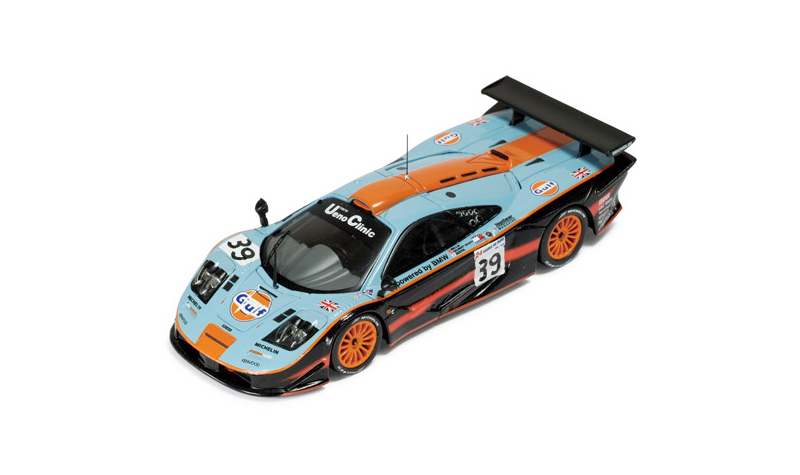 Interestingly, there was no apparent Gulf identification on the car. 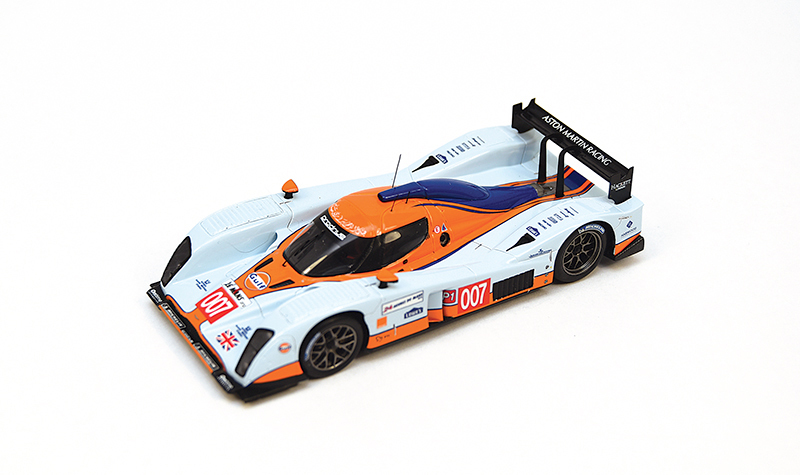 The colors were there all right, but no Gulf markings. 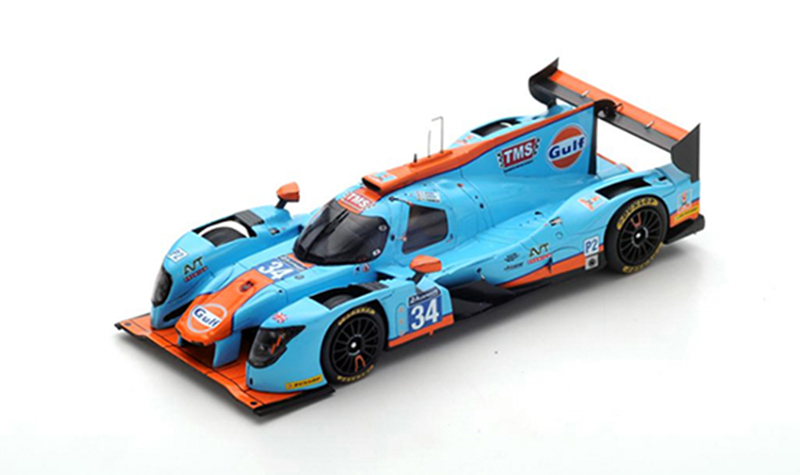 Which begs the question: was the blue and orange Gulf Oil or John Wyer colors in the first place? 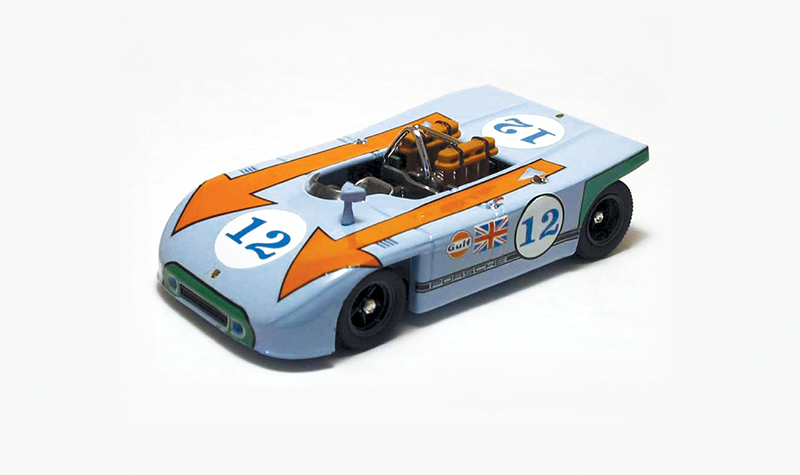 Regardless, success at LeMans would be quick as Wyer became a factory-blessed entrant for Ford’s GT40s for 1968. 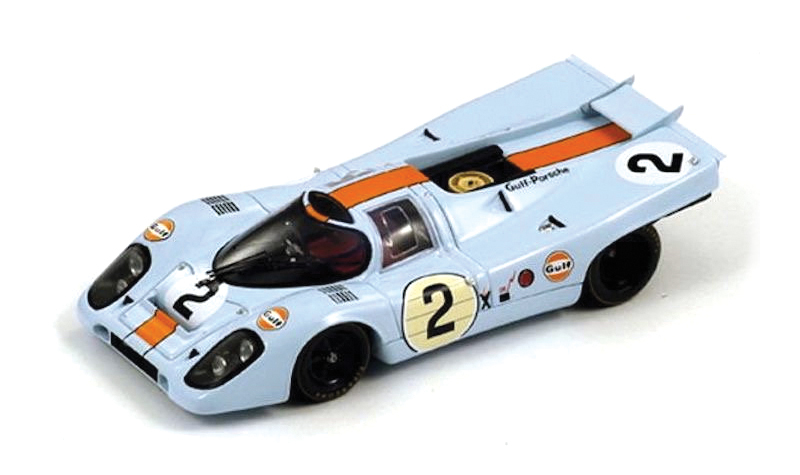 Pedro Rodriguez and Lucien Bianchi convincingly beat the second-placed Porsche 907 by several laps in 1968. And yes, the Ford was wearing Gulf decals this time around. 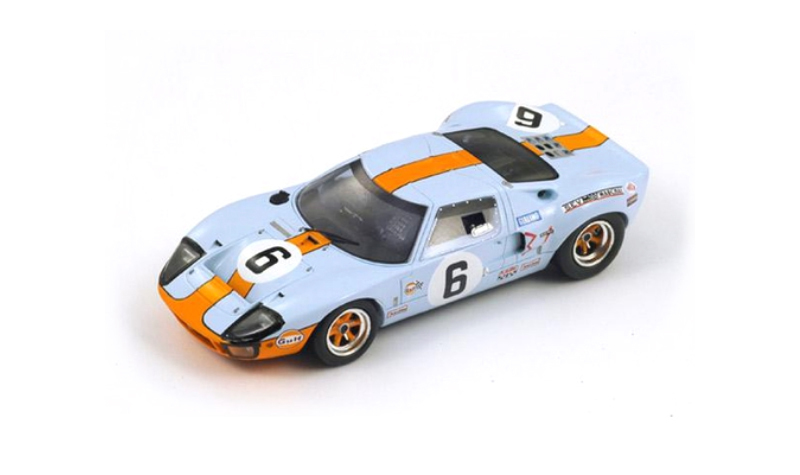 The very same Ford GT40 chassis in Gulf colors won again in 1969 with Jacky Ickx and Jackie Oliver driving. 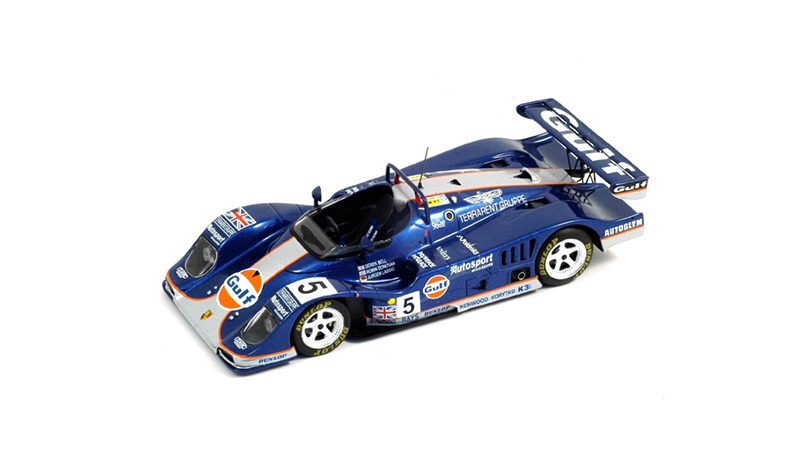 An epic drive by Ickx in the final hours beat a factory Porsche 908 by just a few car lengths at the checkered flag. 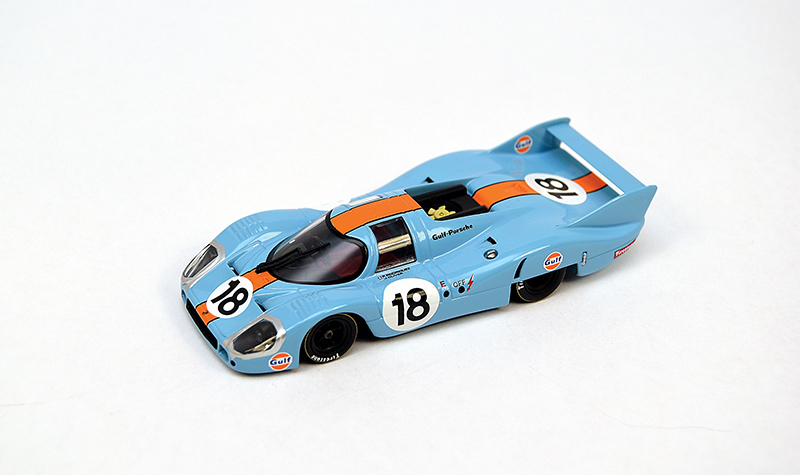 Gulf Oil colors and Porsche 917s were forever ingrained in racing history in 1970-1971. 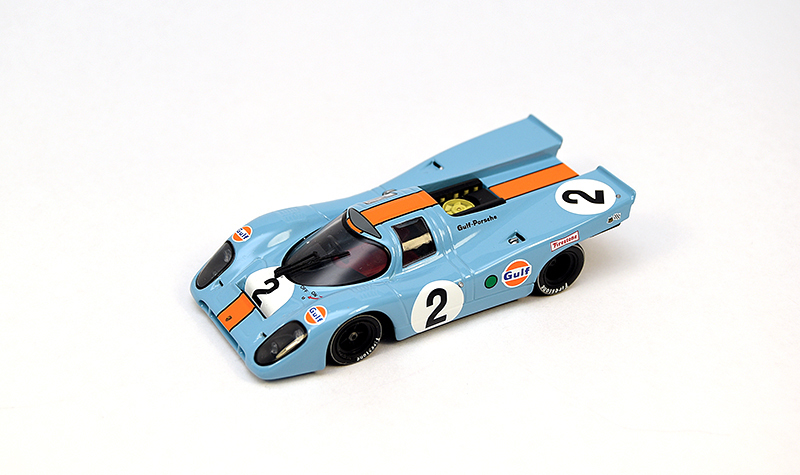 Not because Wyer’s team won with Gulf Porsche 917s. They didn’t. 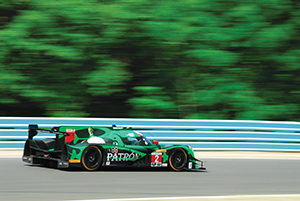 It was Steve McQueen’s movie “LeMans” that did the trick. 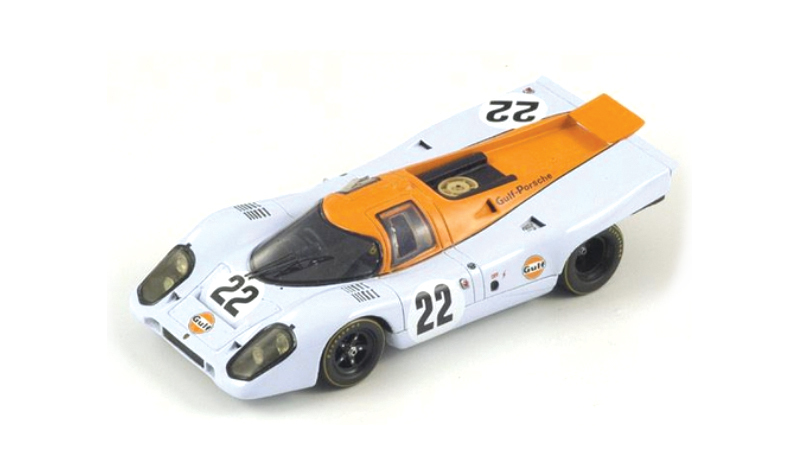 John Wyer’s team could not win the LeMans 24 hour race with Porsche 917s. That’s a fact. 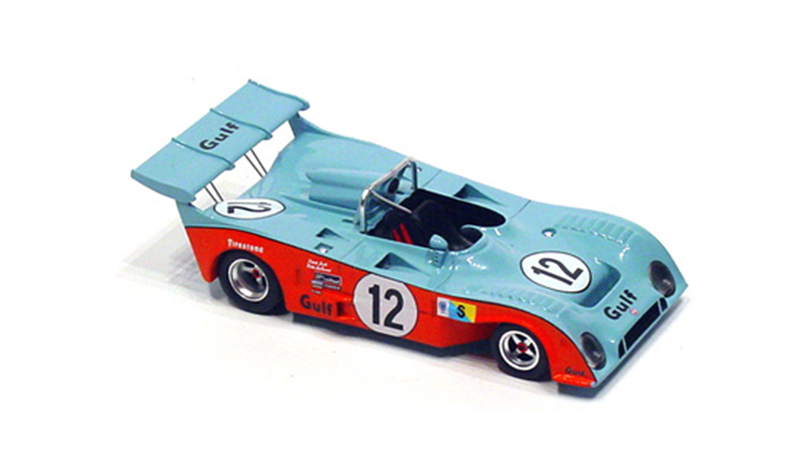 Filming the 1970 LeMans race as the basis for his film, Steve McQueen made Gulf Racing a household name. It is well-documented that the filming of the LeMans movie was extremely trying for the movie crew and McQueen. His desire to portray the film’s racing scenes in an extremely realistic manner caused much friction between McQueen and the directors. Directors plural because McQueen had major differences in the direction of the story and the race scene filming. The movie studio and McQueen had a major fallout during the filming. McQueen would give up any stake in the film just to finish it at all. These events served to greatly diminish McQueen’s passion for motorsport in the end. 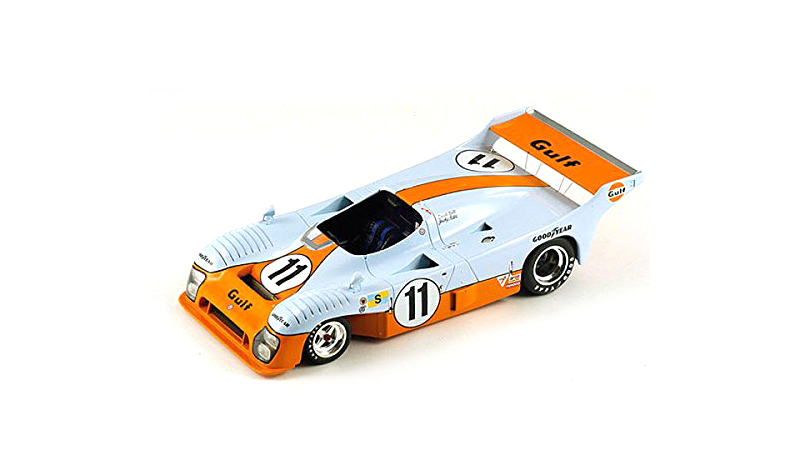 The upshot was that a Gulf Racing Porsche was in front of millions of film goers for almost 2 hours. The value in ad dollars is monumental. 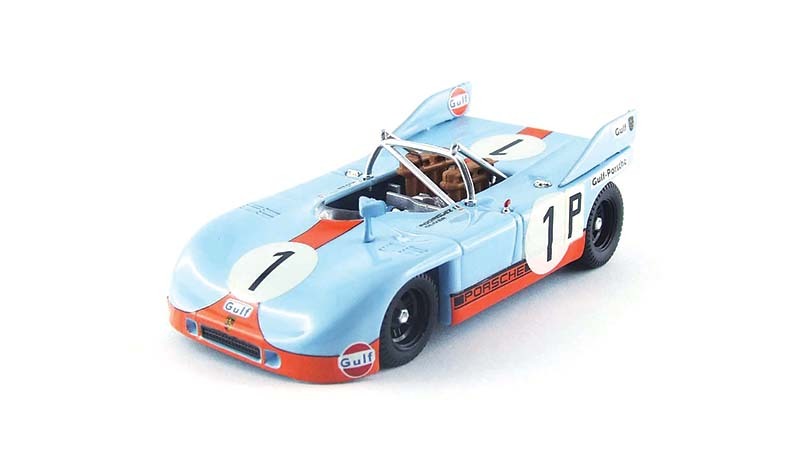 The Gulf Porsche #20 McQueen piloted in the movie was actually driven in the 1970 race by Jo Siffert and Brian Redman. I bet few folks remember that because the car did not finish. The movie’s concluding scenes will forever prove for many that it was McQueen that came in second place in 1970. 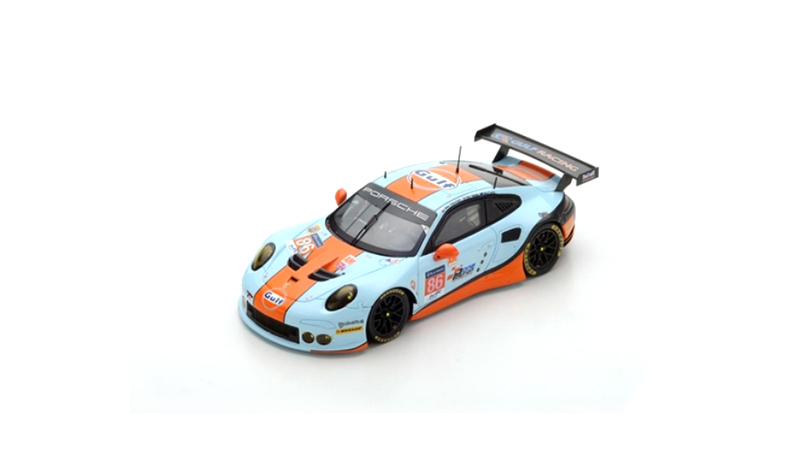 Finding Gulf Racing models in 1:43 scale is pretty easy. 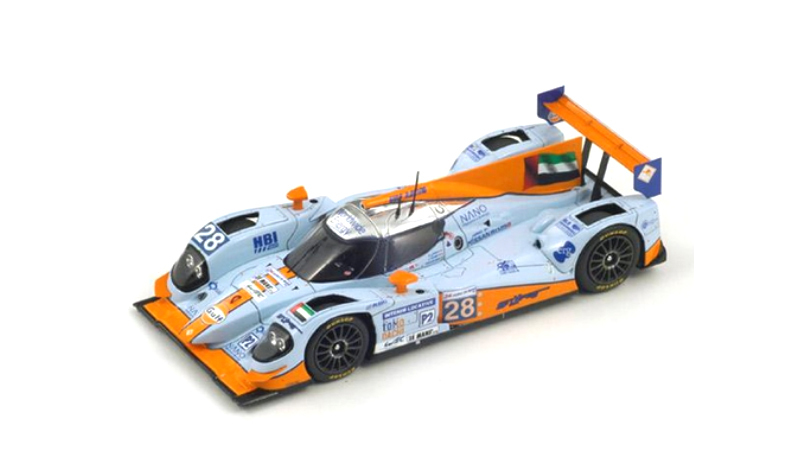 Most race cars that have worn the Gulf colors have been modeled in 1:43. 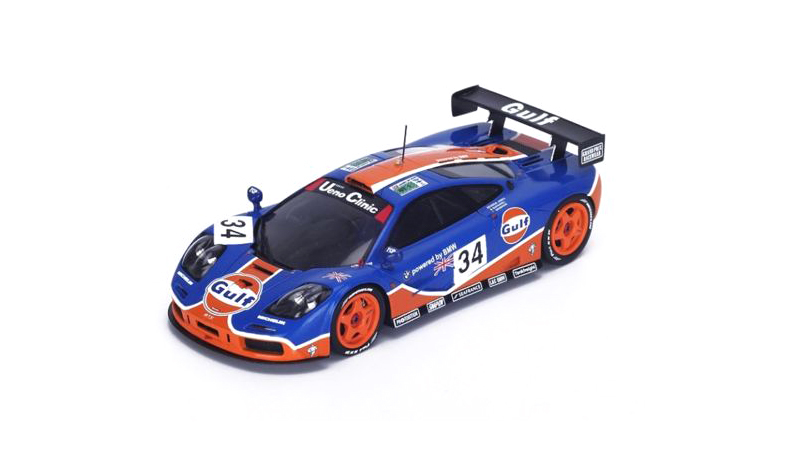 Minichamps, Spark, Truescale and Best are just a few manufacturers having produced terrific Gulf models. 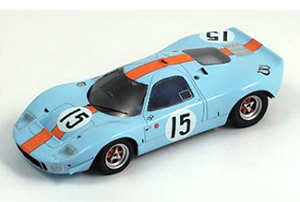 Jouef produced a 1:43 model of the 1969 Ford GT40 LeMans winner some years ago (left). Opening doors reveal a detailed cockpit and a front hood panel that can be removed to show the spare tire. The rear suspension with its coil springs actually works. 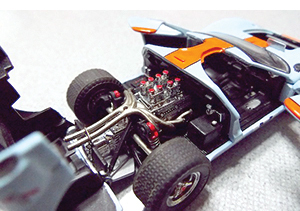 The full engine is displayed under a hinged-opening rear body panel. While it does have a few minor inaccuracies, the model is invaluable because of the opening and/or highly detailed features. You might find one from some dealers or on ebay. 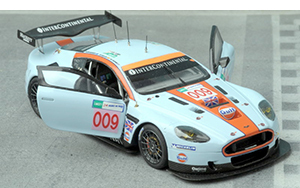 Just a fraction of the available diecast Gulf Racing models in 1:43 scale are shown in the gallery below. 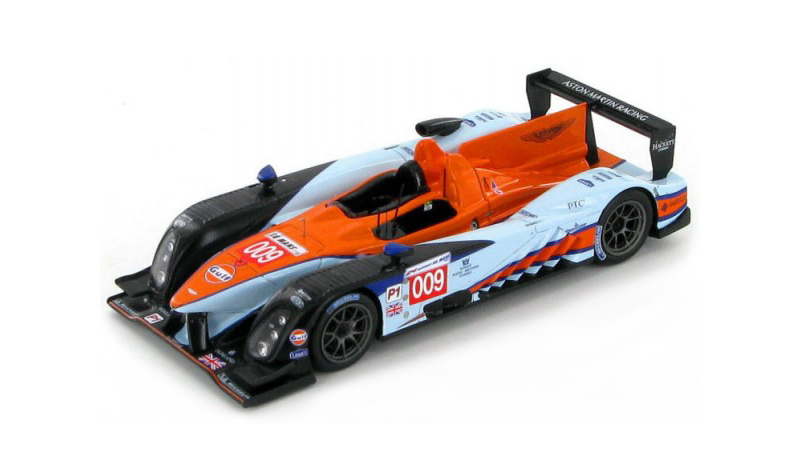 Some examples are out of production for some time now, but a trip to well-stocked model dealer sites or ebay should open your eyes to the huge assortment to choose from. 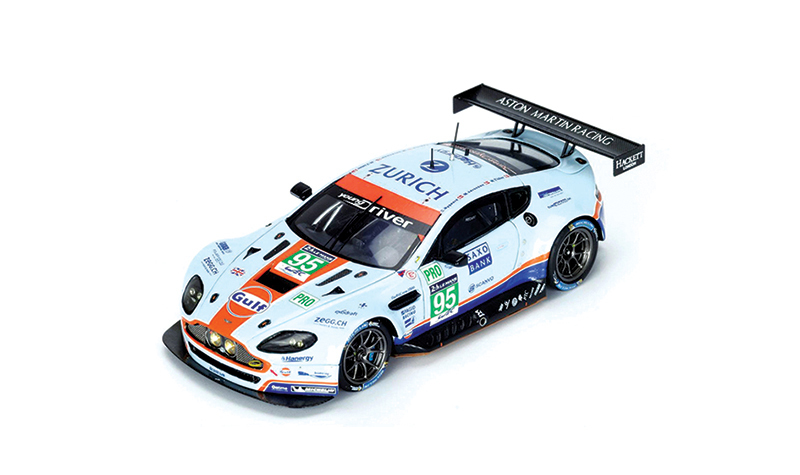 If you build kits, you also should have little problem acquiring Gulf Racing models. 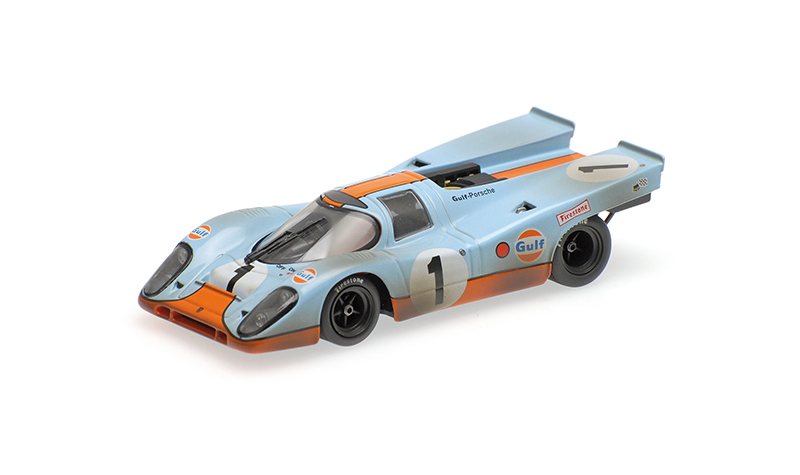 Marsh Models comprehensively covered the Gulf Ford GT40s, Mirage M1 and Porsche 908/3 (Marsh offers factory builds as well). Starter and Provence Moulage produced decent kits. 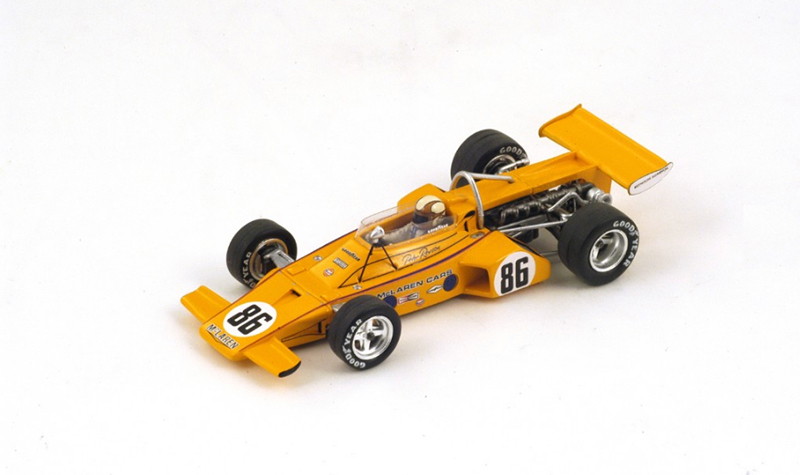 Both are long gone but the models are frequently available online. 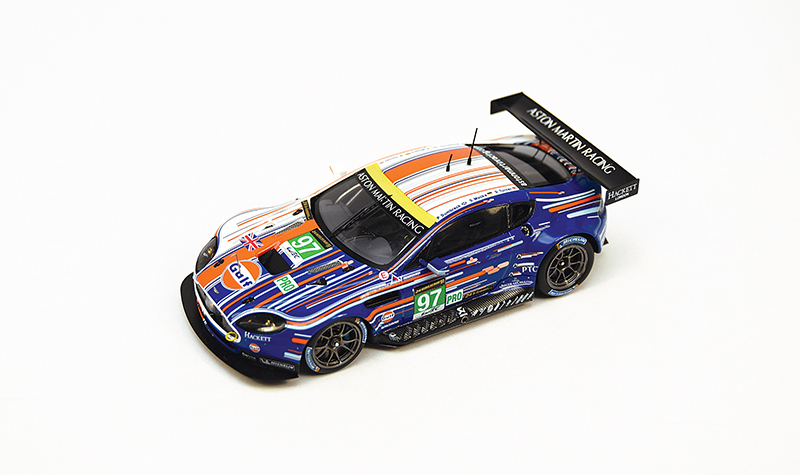 Renaissance has a wonderful 2008 LeMans Aston Martin DBR9 kit that features opening doors and lots of superb detail (right). 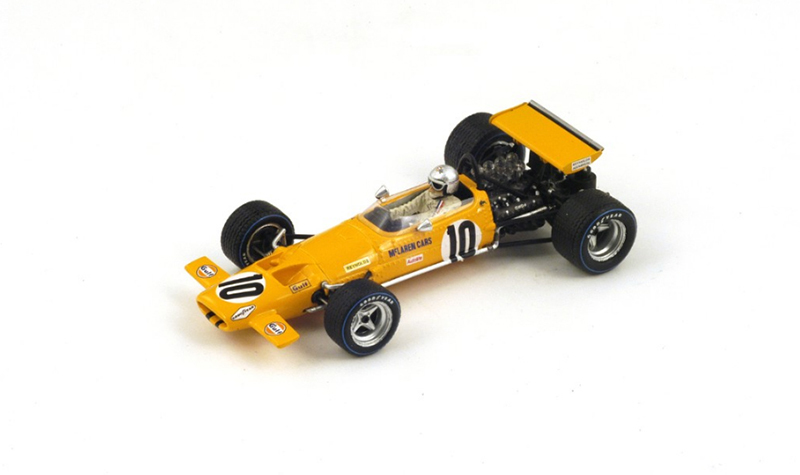 More great model stories you might enjoy.